New York is more than an imposing city of skyscrapers and urban canyons. 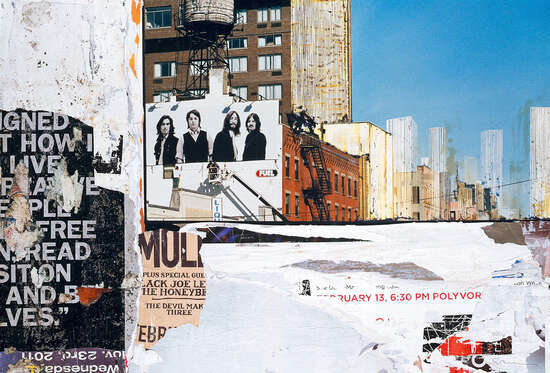 With his atmospheric compositions consisting of photography, collage, and painting, Gottfried Salzmann makes it possible to experience the fascinating diversity of the famous metropolis. These atmospheric snapshots do not claim to depict reality but still capture it more completely than documentary photographs are able to. Instead of using the typical watercolour bleeding for the softer depiction of physical objects, the artist opts for surprisingly accurate and detailed illustration. 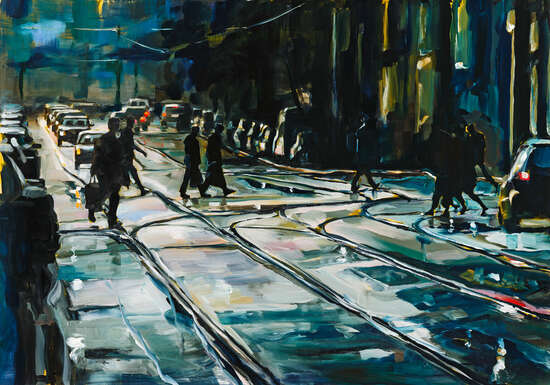 With quick brushstrokes, Salzmann captures the urban architecture from an original point of view. Colourful dabs break through the picture’s grey foundation. Billboards become Salzmann’s playful accessories. 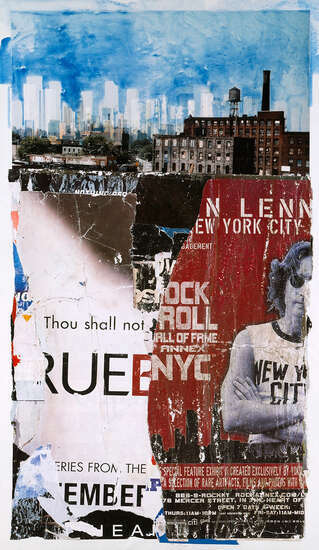 In his compositions, headlines and poppy advertisements become a form of commentary. The youngest of three siblings, Gottfried Salzmann was born in 1943 and grew up near Salzburg. Although he had never had much exposure to the art world, as a twelve year-old, he surprised his parents with a special Christmas wish: a book about painting. He received the book, and has been passionately dedicated to art ever since. Internationally, Salzmann made his mark with his extraordinary use of watercolour. 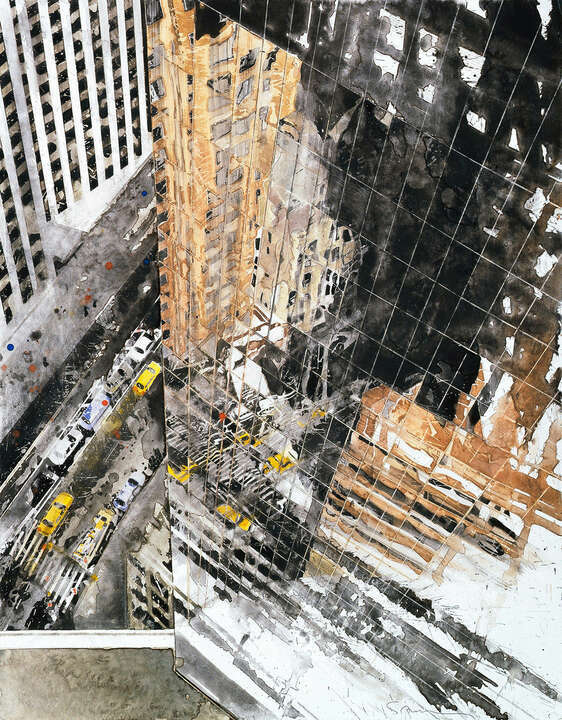 Most of the time, he uses different techniques simultaneously, creating a bridge between watercolour and collage, between photography and drawing. While studying art at the Academy of Visual Arts in Vienna from 1963 to 1965, he visited the major European museums and found the role model he was looking for in William Turner. From 1965 to 1968, he pursued another degree at the École Nationale Supérieure des Beaux-Arts in Paris. These days, Salzmann has become a role model for many students. His work is famous and has won multiple awards. Salzmann lives and works in Paris and Vence, France. 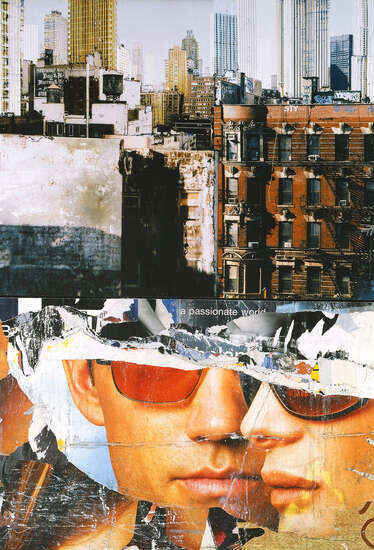 Gottfried Salzmann constantly tries out new artistic disciplines and mixes photography with collage, acrylics with printed material, and much more. The underlying constant that ties his oeuvre together is detailed watercolour. Salzmann finds his source material walking through the streets of New York. 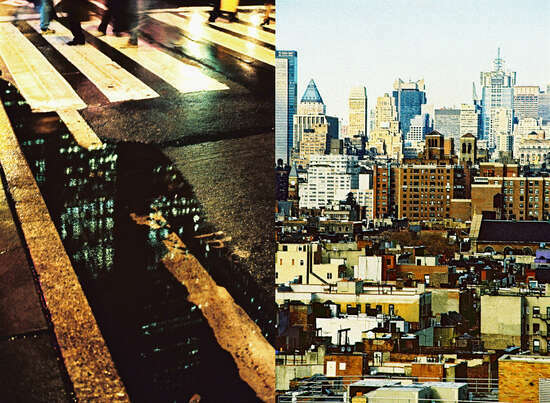 As an observer with a camera, he searches for new sides of the city. Afterwards, the resulting photographs are edited in a laborious process, often implemented on wood. Here, the editing and the multilayered superimpositions remain visible. 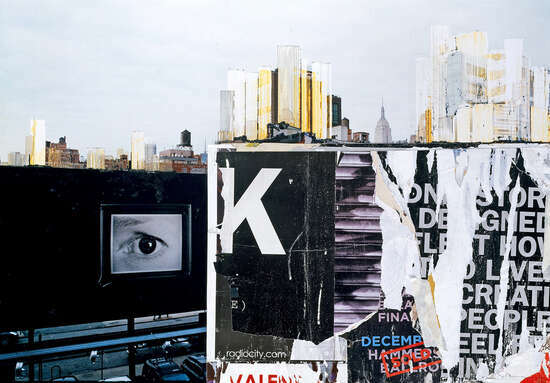 Salzmann creates poetic montages from different parts of the city and urban elements such as billboards. Although he created the piece “Reflection 7th Avenue” with watercolours, the glass façade of the New York skyscraper appears contoured and the detailed reflections reveal a look at another street. 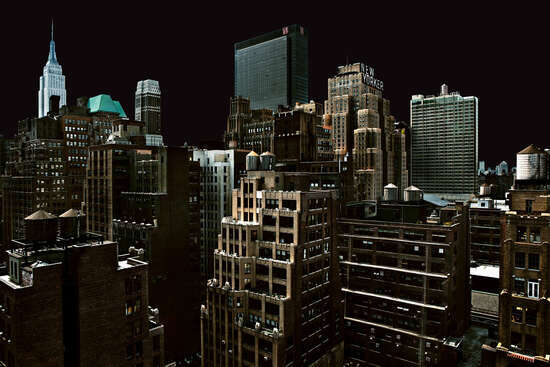 Gottfried Salzmann: Cityscapes – From Paris to New York, Salzburg Museum, München 2013. Gottfried Salzmann, Pascal Bonafoux, Klaus-Albrecht Schröder und Nikolaus Schaffer, Paris 2006. 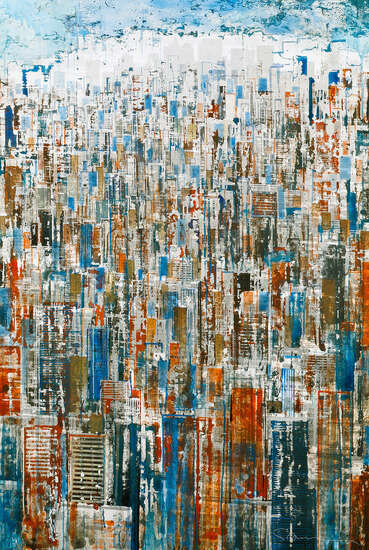 Nikolaus Schaffer: Gottfried Salzmann, Salzburg, Paris, New York ... , Works from 1967-2002. From a series of monographs on Salzburg Art, Volume 27, Salzburger Museum Carolino Augusteum, Salzburg, 2003. Gottfried Salzmann: Watercolour landscapes and cities: from the idea to the pure watercolour, Munich, 2000. Salzmann: Water Reflections, Nicole Bottet, Galerie Wenz, Salzburg, 1993.